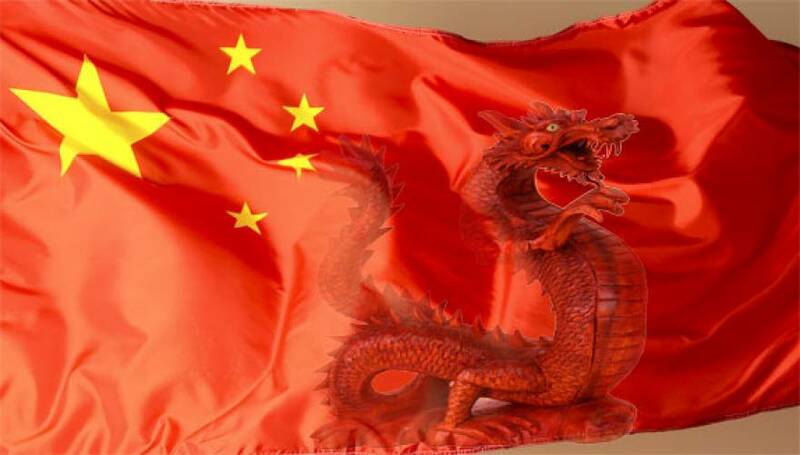 THE EVIL RED EMPIRE – RED CHINA – COMMUNIST : ONE – PARTY GOVERNANCE OF RED CHINA HAS NO RESPECT FOR NATURAL RIGHTS OF PEOPLE . I am asking my readers to acknowledge Red China’s one-party governance as “COMMUNIST.” In the years ahead, the United States and others will be left with no political alternatives as there is fundamental incompatibility between the systems of governance called ‘Democracy’, and ‘Communism’. THE EVIL RED EMPIRE – RED CHINA – COMMUNIST : COMMUNISM LAYS EMPHASIS ON THE REQUIREMENTS OF THE STATE WITH NO CONCERN FOR INDIVIDUAL LIBERTIES . COMMUNIST GOVERNANCE IS NOT BASED UPON SOCIAL CONTRACT . COMMUNISTS RULE WITHOUT CONSENT OF THEIR PEOPLE . Communism is the form of government by a one-party political structure which lays emphasis on the requirements of the State rather than on individual liberties. State is primarily involved in planning and control of economy without transparency and public accountability. Democracy is a form of government based on the theory of “Natural Rights” and the doctrine of government by “Social Contract.” In Democracy, government is instituted among men deriving its just powers from consent of the governed. Communism includes an unmistakable design to establish tyranny. Red China’s Communist Party Chairman Mao Tse-Tung or Mao Zedong established a national entity on October 01, 1949 where the Communist Party can rule or govern people without their consent. Red China entered the Korean War against UN forces in 1950, participating on a large scale until the armistice of 1953. Red China invaded and occupied its weak neighbor Tibet during October 1950. A liberal “Hundred Flowers” period of 1957 was followed by a harsh crackdown on intellectuals. Red China demonstrated its ambitions to become a global superpower by exploding an atomic bomb in 1964 and the launching of its first satellite in 1970. Nixon-Kissinger “TREASON” in Vietnam paved the way for Red China’s entry to the United Nations. While the United States was engaged in a bloody war in Vietnam to resist and contain Communism, Nixon-Kissinger visited Peking in February 1972. US and Red China normalized diplomatic relations on January 01, 1979. 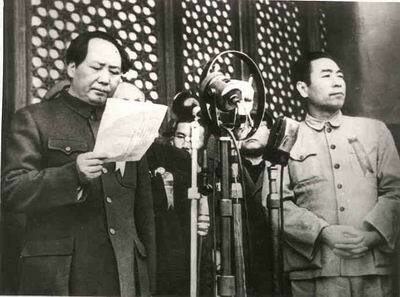 In 1981, Red China’s Communist Party severely criticized Mao Tse-Tung’s policies in the last years of his life in a public document and in 1982 Maoist ideology and political structure were curbed through the adoption of new Party and national constitution. 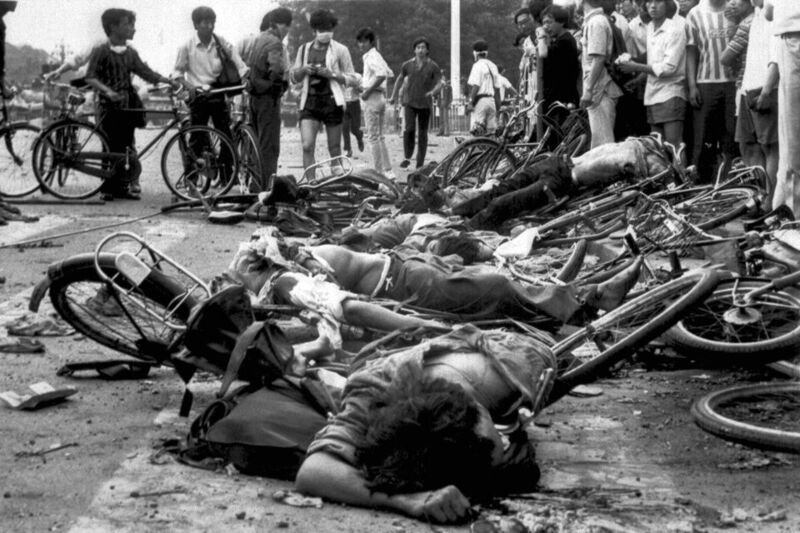 The events commonly described as “TIANANMEN SQUARE MASSACRE” during May-June 1989 is clear evidence of a system of governance inspired by ideology of Communism which has no respect for “Natural Rights” of people. THE EVIL RED EMPIRE – RED CHINA – COMMUNIST : Beijing. Tien An Men Square. 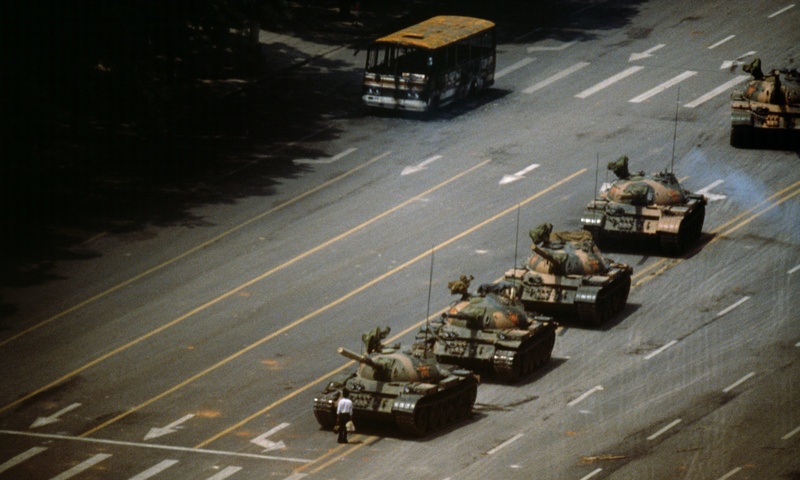 ‘The Tank Man’ stopping the column of T59 tanks. 4th June 1989. Red China has not accounted for her “Crimes Against Humanity” during a period of her history called “Cultural Revolution.” Communist Party Chairman Mao Tse-Tung launched a massive upheaval in August 1966 to physically destroy all ‘liberal’ elements who in his view posed a threat to China’s “Red Revolution.” It was a mass campaign to revitalize revolutionary fervor by attacking people and cultural institutions perceived as liberal or so-called “BOURGEOIS” elements in cultural circles. Tibetan religious and political institutions that define Tibetan national character and Tibetan national identity became the targets of vicious attacks that aimed to physically destroy pesons and material properties associated with Tibetan Culture using State-sponsored violence. Cultural Revolution ended in 1976 with the death of Chairman Mao and the purging of the “Gang of Four.” However, Communist misrule, xenophobia, and anti-intellectualism continue unabated in Occupied Tibet. 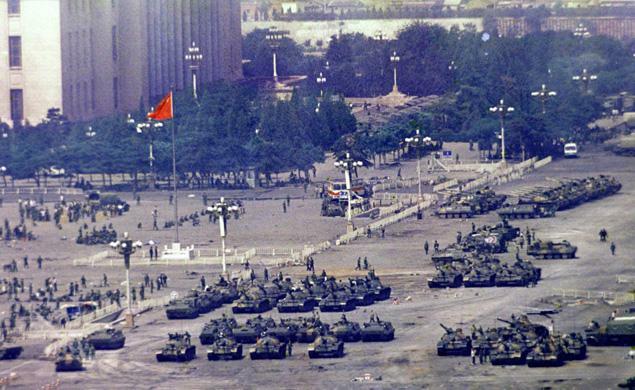 In 1989, the chinese military descended on Tiananmen Square and moved to end pro-democracy demonstrations. 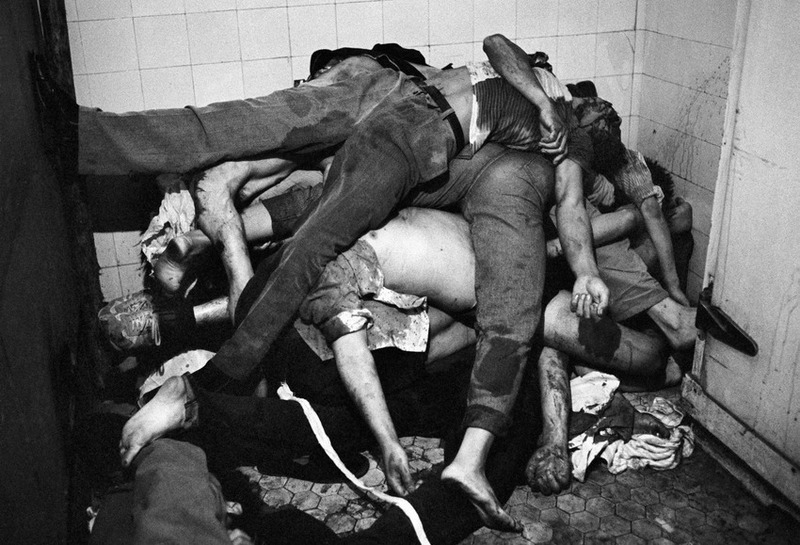 The event, which resulted in several hundred to several thousand dead, is considered one of the most brutal crackdowns in modern history. 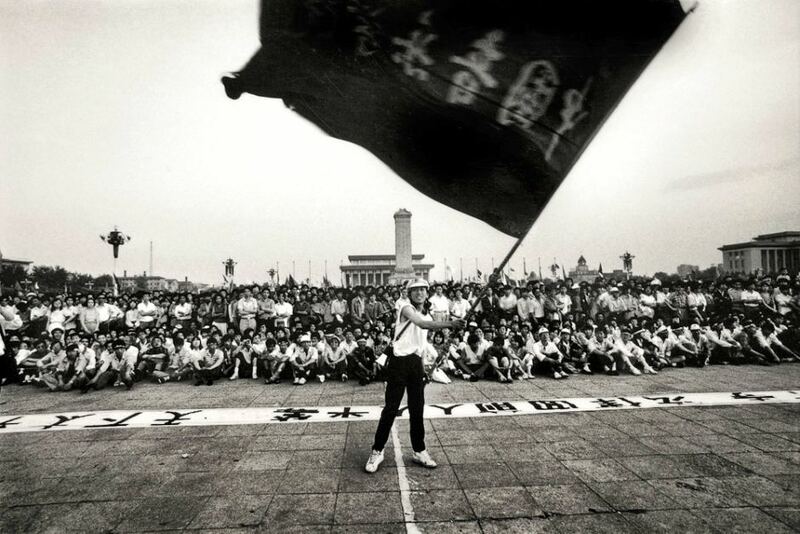 At the height of the protests, which were sparked by the death of a Communist Party leader who wanted reform, at least a million people were estimated to have participated in the demonstrations. 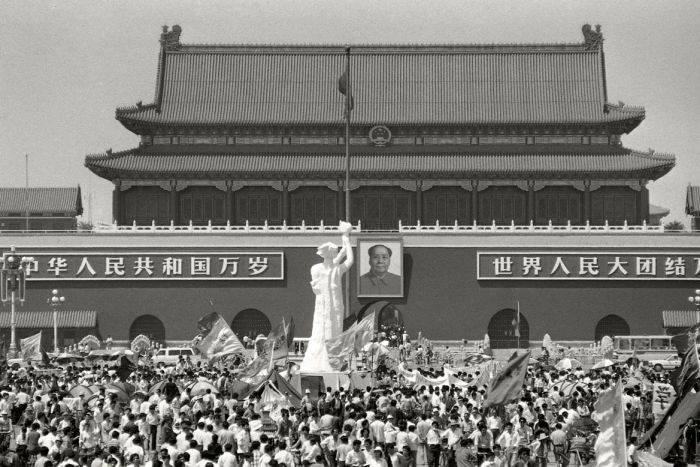 Here is a look back at the Tiananmen Square massacre through the pages of The Washington Post. Here is the front page, leading with staff reporter Daniel Southerland’s coverage. Note: This post was originally published on June 3, 2014. Swati Sharma is a digital editor for World and National Security and previously worked at the Boston Globe.